This collection of eighty-nine letters written by Parisian and other European map publishers to the London map firm of Jefferys & Faden represents one of the few business archives left to us from the eighteenth-century map trade. Thomas Jefferys (c.1720-1771) and William Faden (1749-1836) both enjoyed the title of ‘Geographer to the King of England’ and were well respected by other geographers of the period. 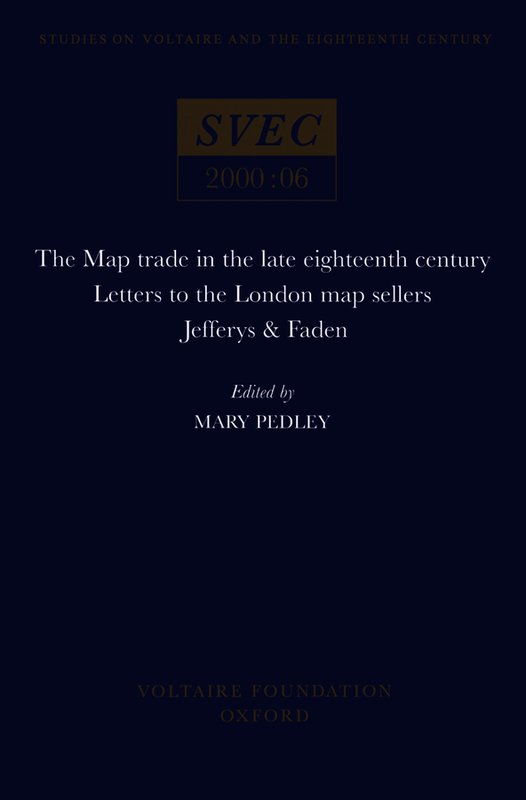 Like many of his contemporaries in the map trade, Jefferys had difficulty making a financial success of his map business; his successor Faden, by contrast, was able to expand the firm into a flourishing business which continued well into the nineteenth century. Their correspondents included important European map and print publishers such as Covens & Mortier in Amsterdam and Lattré, Julien and Desnos in Paris, as well as the French geographers d’Anville and Robert de Vaugondy. Other persons mentioned in the correspondence provide links between Faden’s London firm and the Dépôt de la Marine, the French Navy’s cartographic department, an important connection in the tumultuous decade of 1773-1783 when England found itself at war with France in North America, in the English Channel, and in India. The letters also provide a detailed view of the costs of doing business – prices, discount, payment, schedules and methods, shipping costs and arrangements- in the last quarter of the eighteenth century and further increase our knowledge of the economics of map production and sales in this period. The letters are now in the Manuscript Division of the William L. Clements Library at the University of Michigan. In this edition they have been transcribed and fully annotated and are preceded by an introduction placing the correspondence in the context of the print and book trade and the rôle of cartography in eighteenth-century politics.